An effective and eco-friendly concentrated non-bio laundry liquid from Ecover which offers outstanding results and removes stains even at 30°. With a concentrated formula it offers more washes per bottle – with 54% less packaging per wash and 68% less transport miles. The cruelty free and biodegradable laundry liquid is suitable for a vegan lifestyle and will work well for all white and colourfast laundry. With a new lavender & sandalwood fragrance. Suitable for whites and colourfast colours. Pour directly into dispensing drawer. Always follow label and washing machine instructions. Not suitable for wool & silk. The Ecover Concentrated Non-Bio Laundry Liquid - Lavender & Sandalwood - 1.5L - 42 Washes product ethics are indicated below. To learn more about these product ethics and to see related products, follow the links below. Great product for anyone with skin allergies or sensitive skin. Love this! Ecover products have improved so much . This laundry liquid cleans very well and I really like the new scent - not overpowering with a delicate lavender fragrance which doesn’t smell artificial. I have sensitive skin and this doesn’t bother me at all ,I even wash underwear with this without any skin irritations afterwards. Just wish it wasn’t so expensive but cruelty free products really matter to me so I will have to tighten the belt elsewhere!! 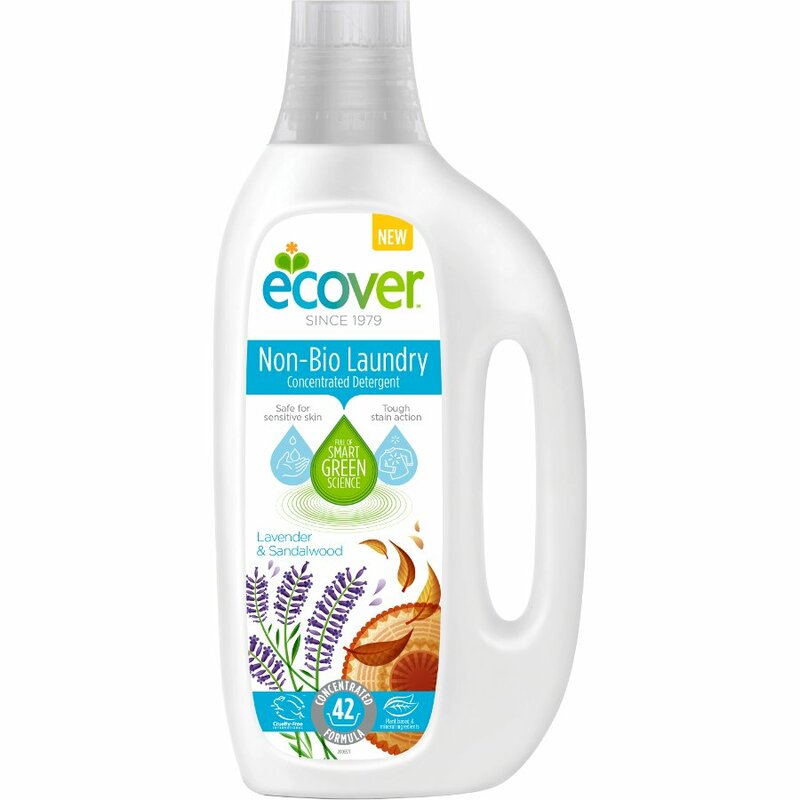 There are currently no questions to display about Ecover Concentrated Non-Bio Laundry Liquid - Lavender & Sandalwood - 1.5L - 42 Washes.